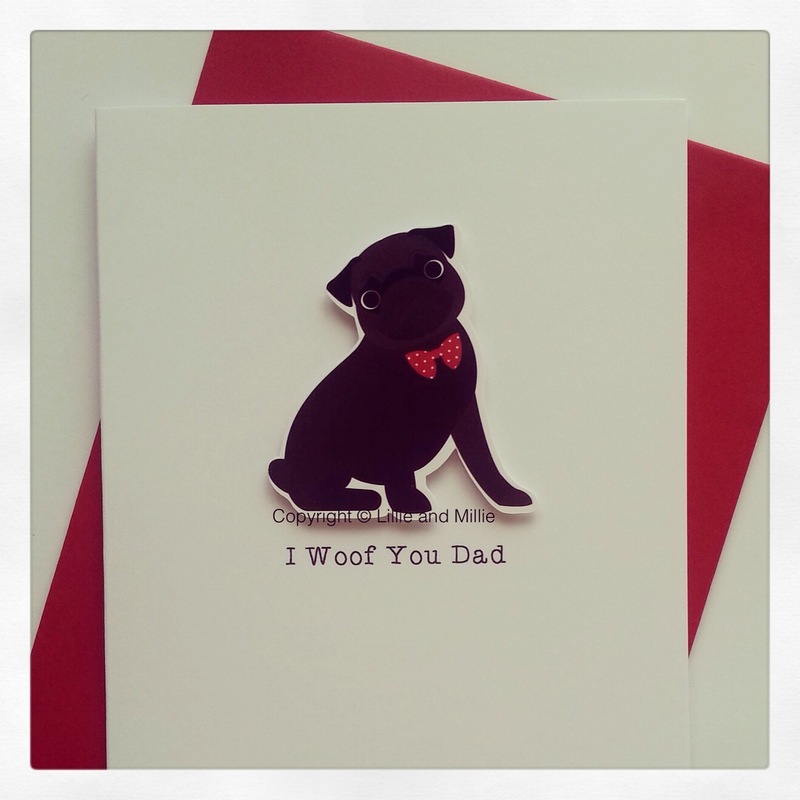 Our super cute We Woof You Dad double Pug card is simply pawfect for Pugs to show their dads just how much they care. Complete with a blue envelope. 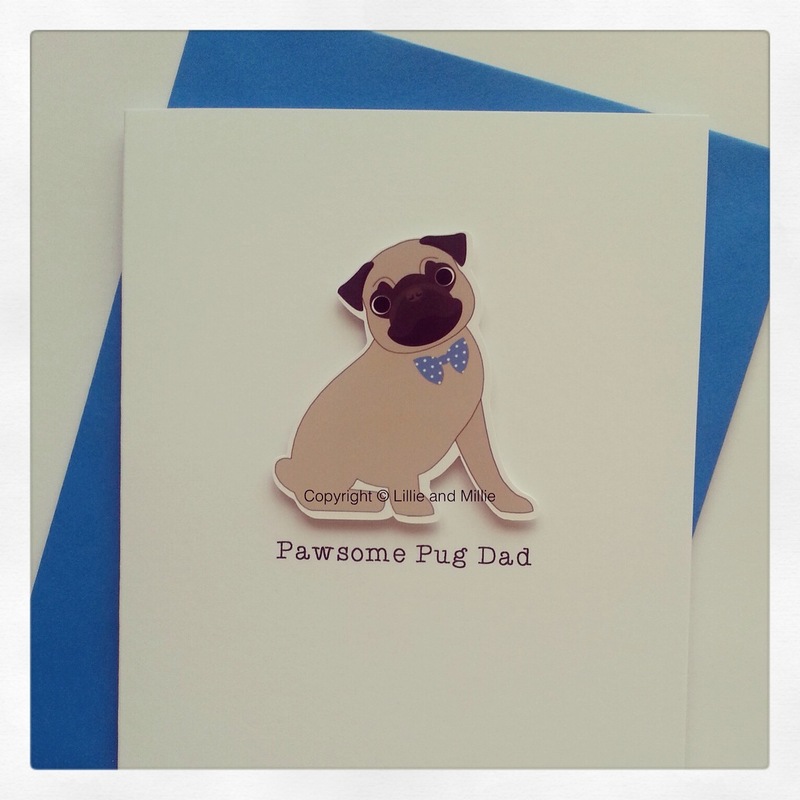 Bow ties are available in any colour. You can have two Pugs the same colour or mixed. If you wish to purchase from outside the UK please contact us before you check out so we can calculate your shipping costs. 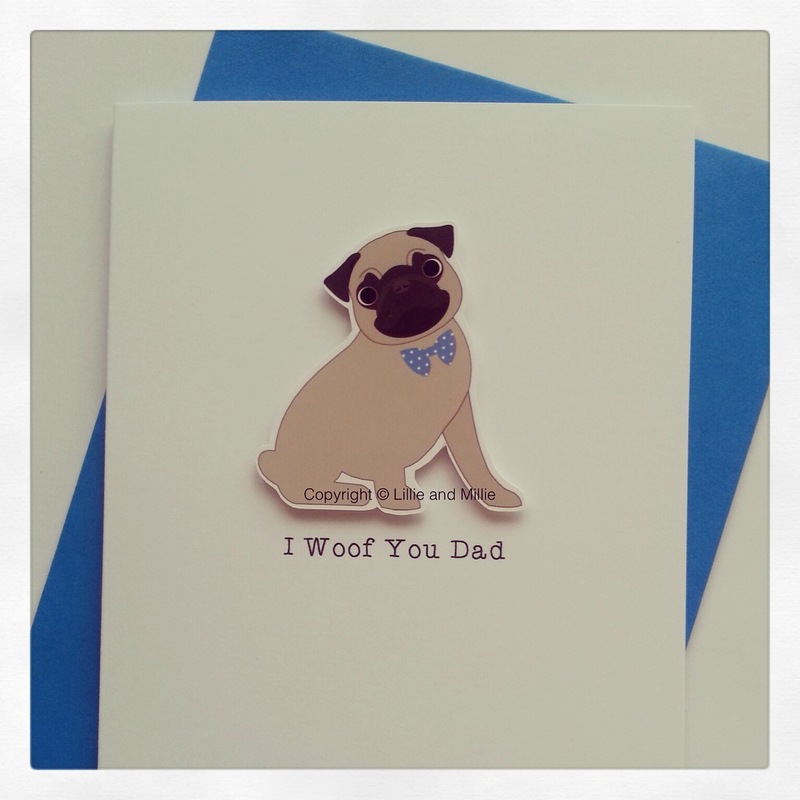 Our super cute I Woof You Dad card is simply pawfect for Pugs to show their dads just how much they care. 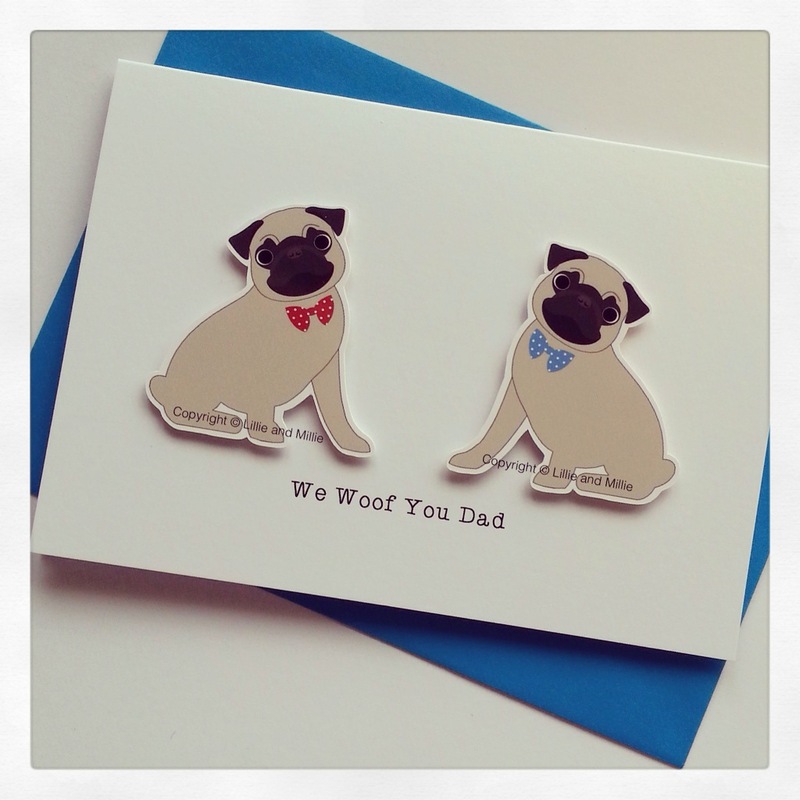 Bow ties are available in any colour. 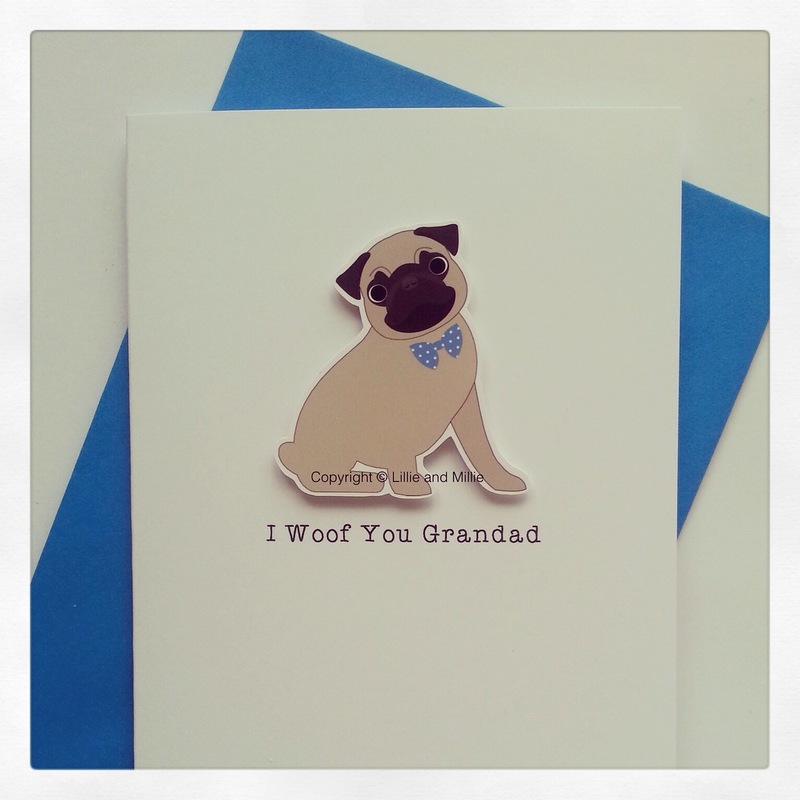 Our super cute I Woof You Grandad card is simply pawfect for Pugs to show their grandads just how much they care. 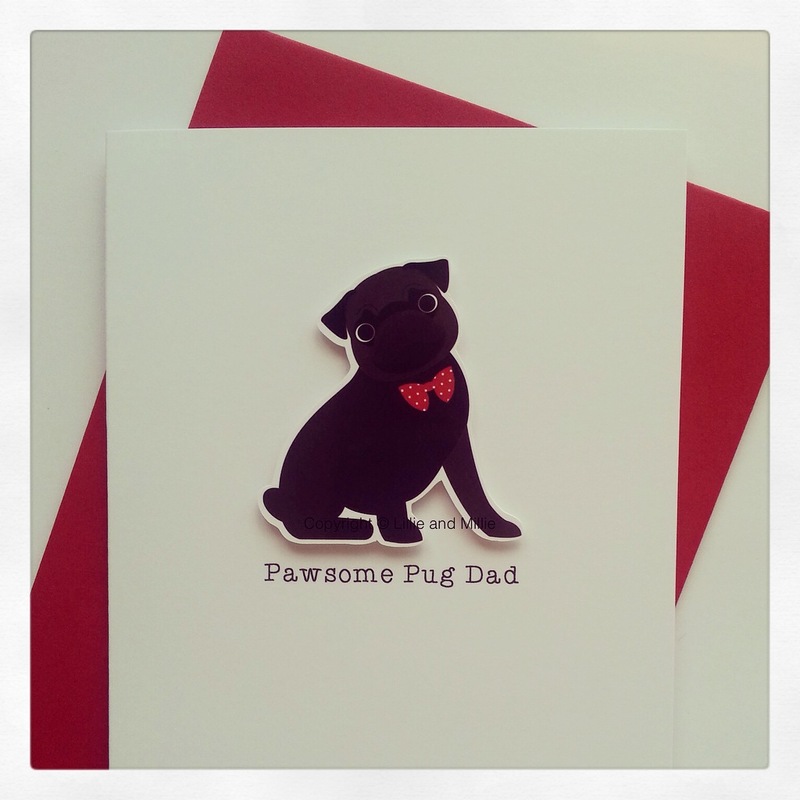 Our super cute Pawsome Pug Dad card is simply pawfect for Pugs to show their dads just how much they care. 1If you wish to purchase from outside the UK please contact us before you check out so we can calculate your shipping costs.